Wednesday Sophomores and Juniors will attend a college fair at Thurgood Marshall Academy. More than 50 colleges will participate. Students will enjoy the opportunity to speak with members of the admissions staff, ask questions about college life, and get a feel for the various options for students after graduation. Our college coaching process starts with Freshmen and continues through four years. Students work with their advisors and with Ms. Latham and Ms. Richardson to plan their academic careers and decide what they value in their college plans. 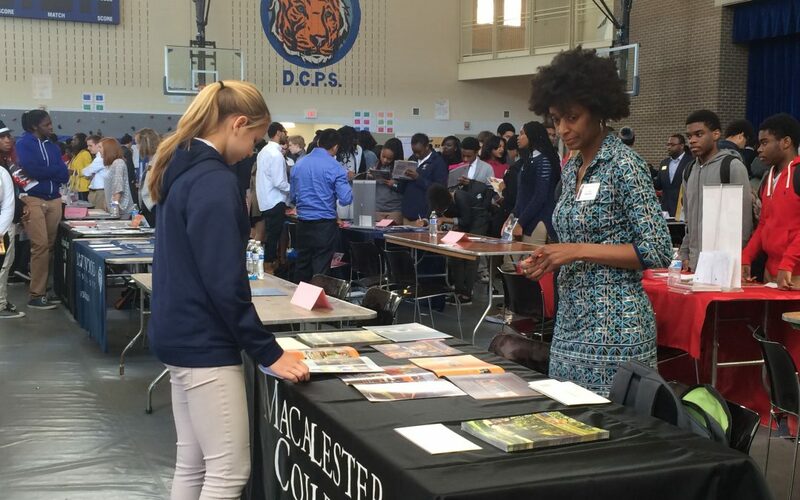 In October, Washington Latin also hosted its own college fair, with representatives filling both the MPR and library. By continuing to expose students to aspects of college life through fairs, lunchtime college visits, and a tour during Spring Break, the college counseling office helps provide students with a broad variety of experiences to make choices about the future.